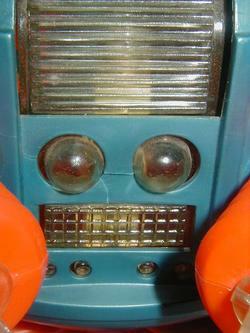 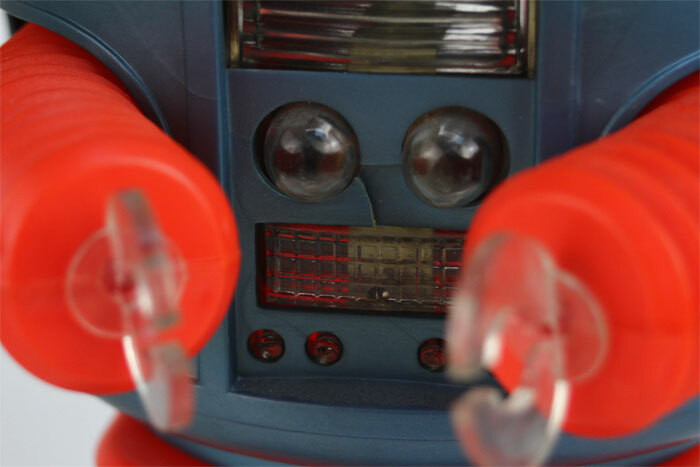 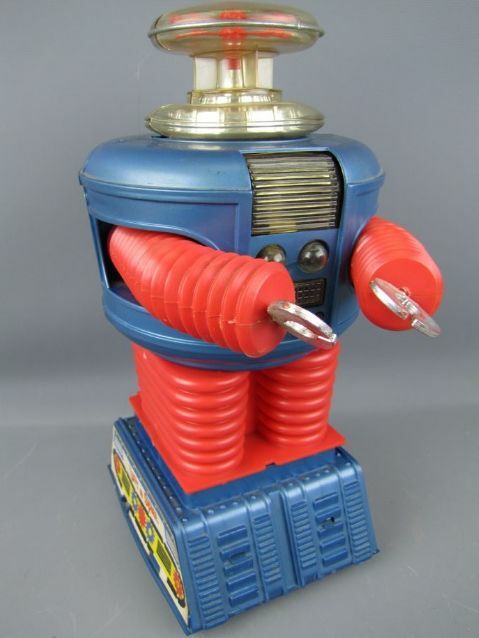 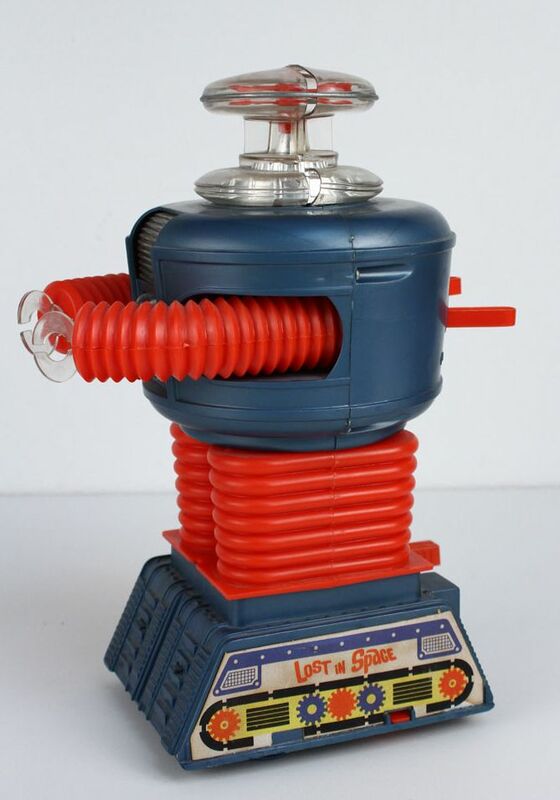 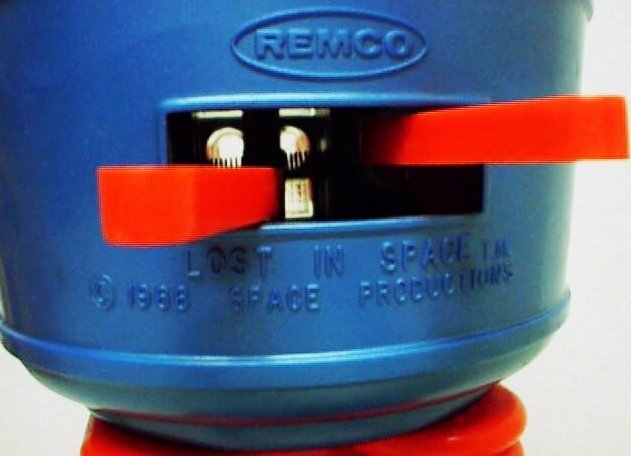 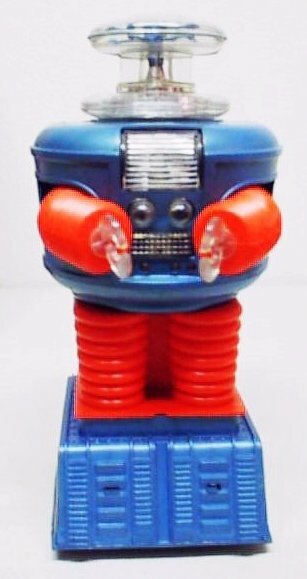 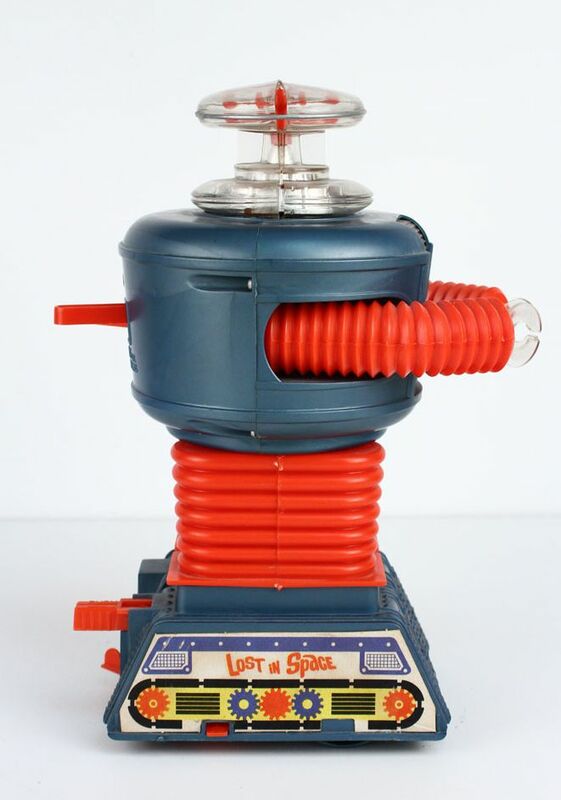 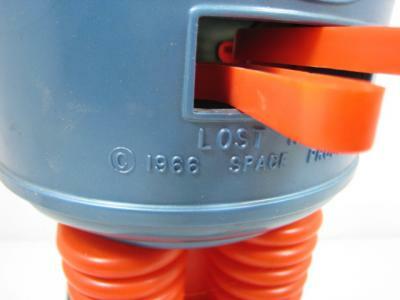 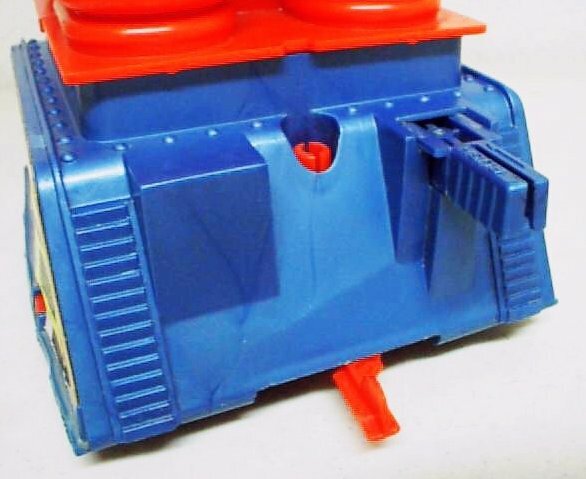 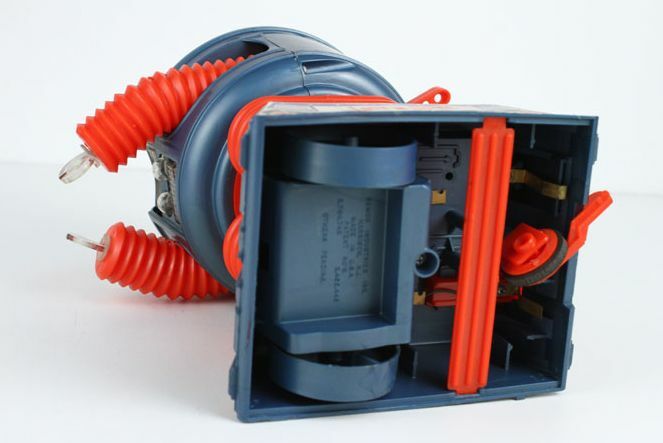 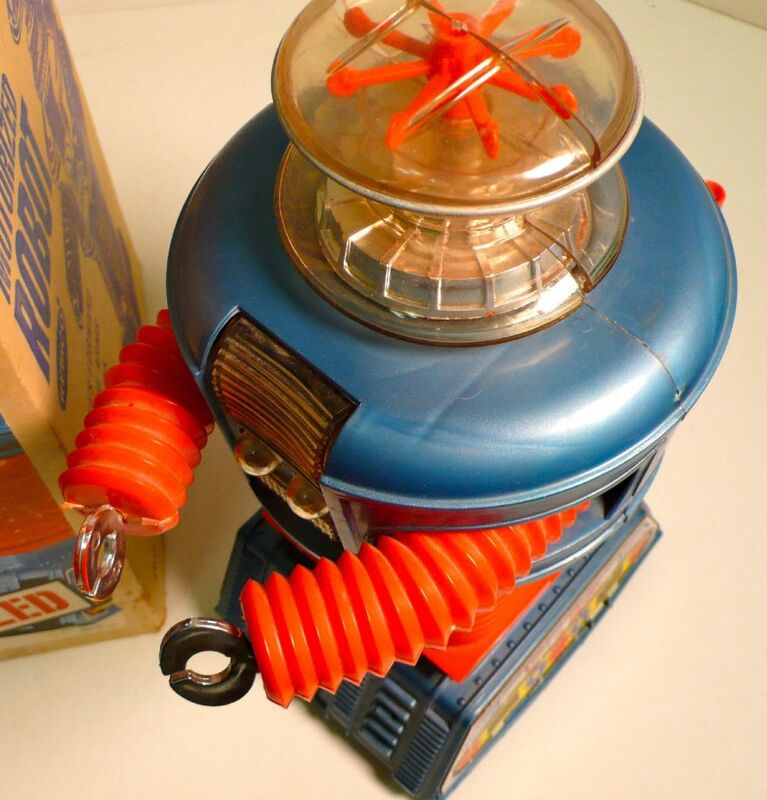 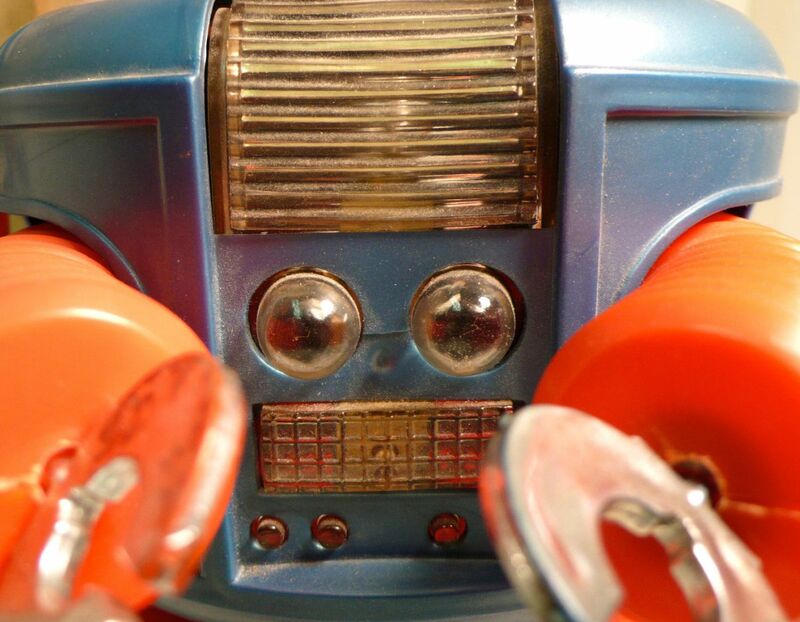 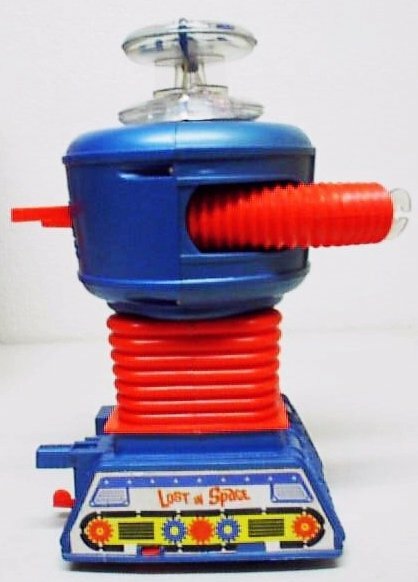 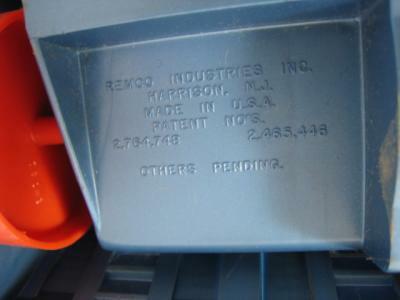 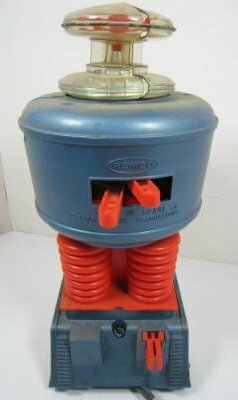 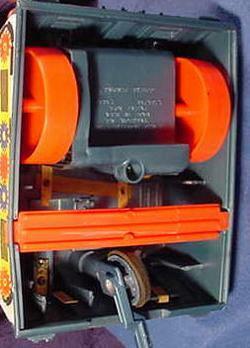 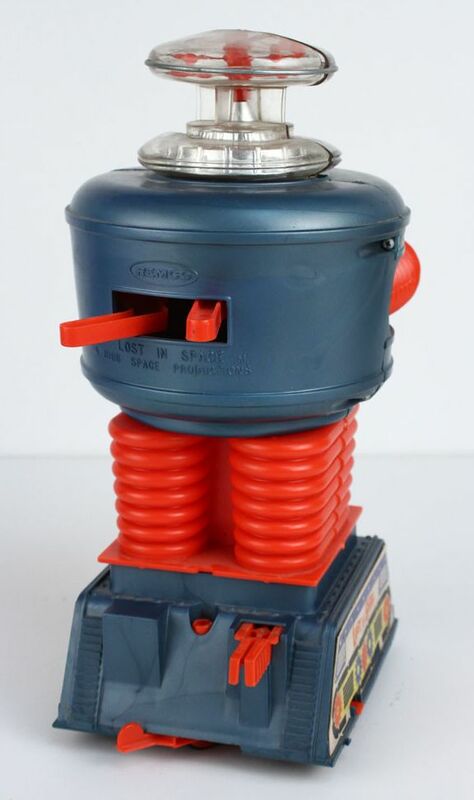 A slightly different color version of the blue & red Remco Robot. 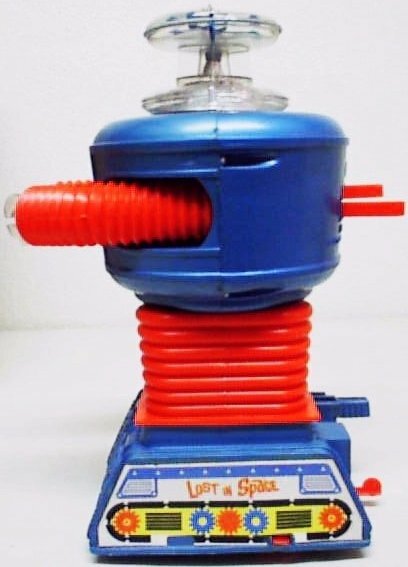 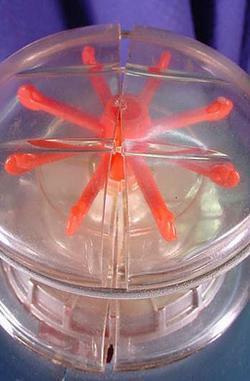 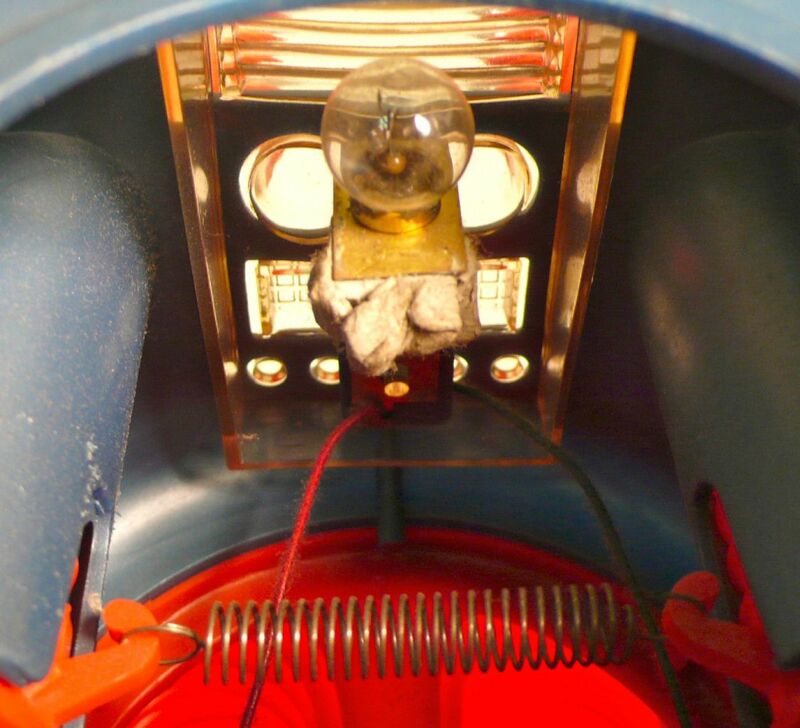 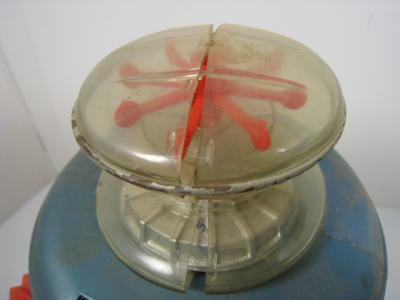 A nice color combination of this classic 1960's vintage toy. 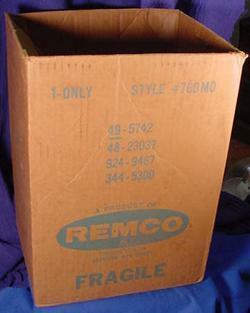 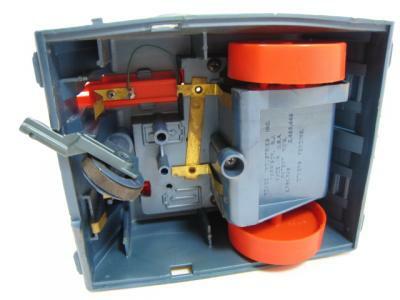 Also featured here is the rare shipping box sent out by Sears through there mail order catalog. 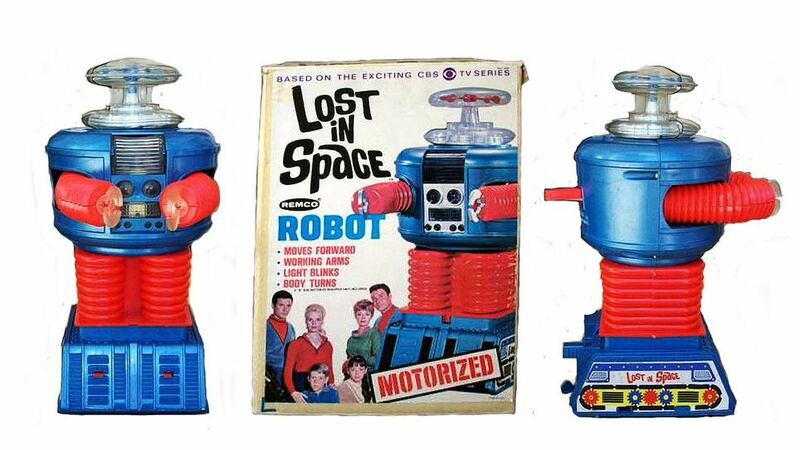 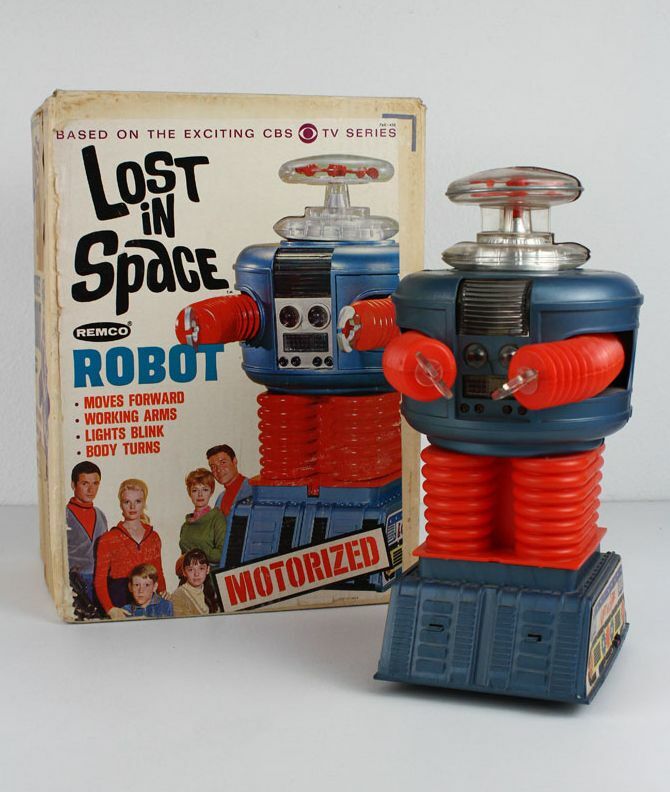 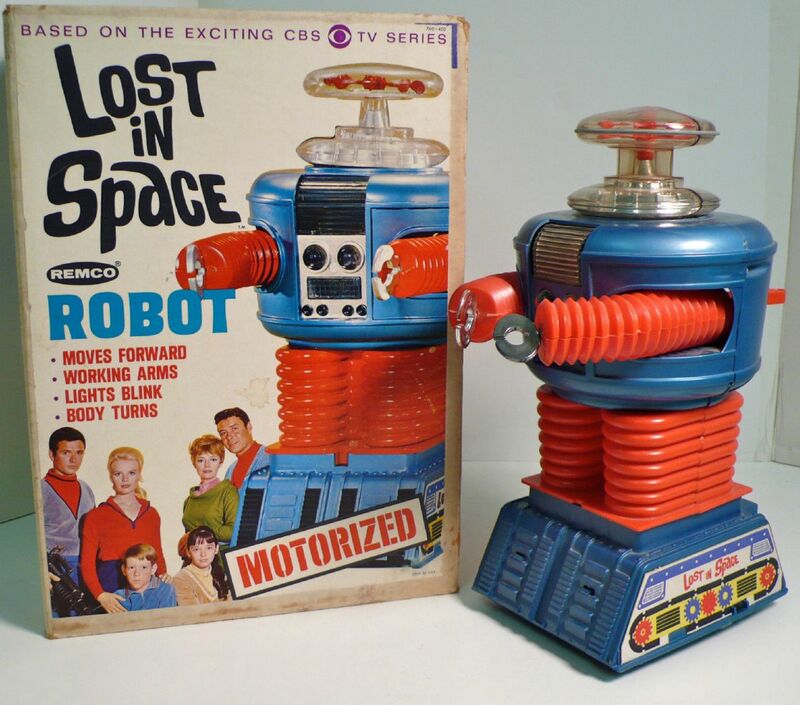 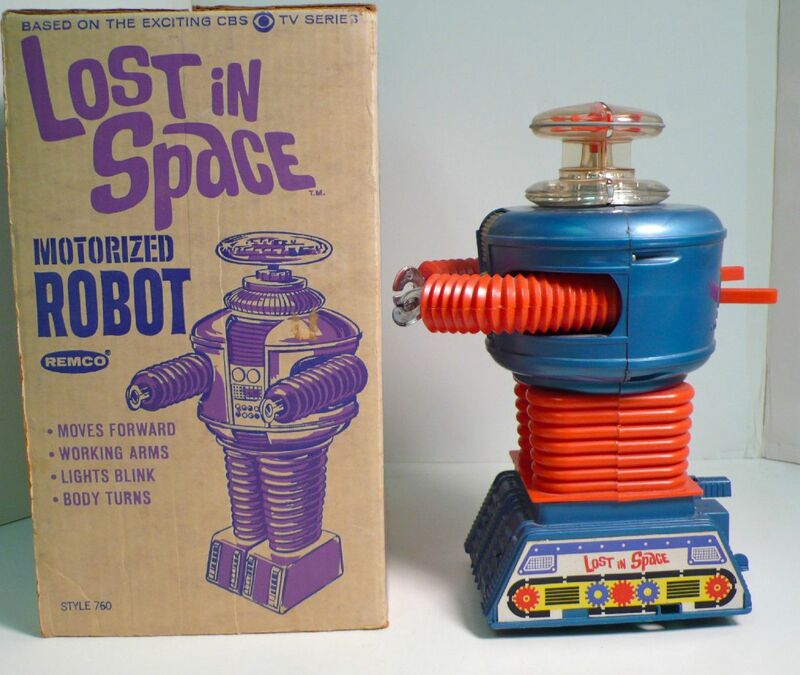 There were no Lost in Space cast photo on this box as with the other box the toy came in sold inside the store. 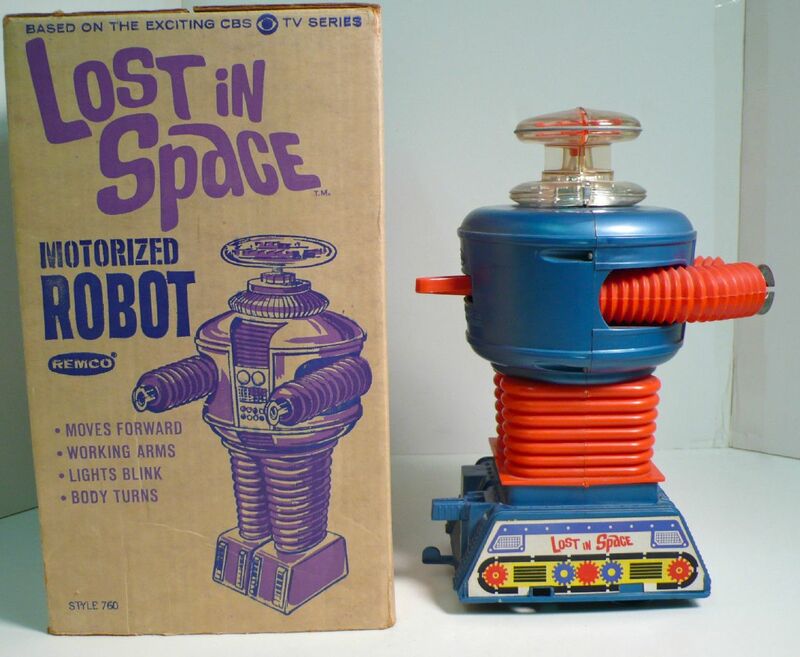 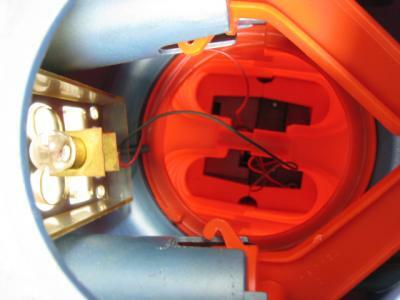 Making this a more valuable collectible item complete with the Robot and box.